Bookmark this page – it’s your quick start guide to learning Haitian Creole! To become fluent in Haitian Creole requires all three and this page will guide you at every step. Below we list resources for each. Anything marked PAID is something I personally used when first learning Creole. This isn’t a college class – the Creole language is for speaking. Even the most basic phrases will help you connect when you visit Haiti or talk to friends & family. Ready to go? Start with our 10 basic Creole phrases lesson. FREE – Haitian Creole Net – We are proud to have a growing library of Creole phrases all with 400+ audio files to help you get the pronunciation right. Knowing the words don’t help if real speakers can’t understand you! Search our website or ask us your questions. FREE – Haiti Hub is a paid site but has some great free resources on their website. You can start right now with all the most important words and phrases. We recommend their full program for learning grammar under step #2. FREE – Sweet Coconuts Blog – This is an essential bookmark for new and experienced speakers alike. She has answered thousands of reader questions and uploaded hundreds of audio files. We recommend this site for building vocabulary and for listening practice in step #3. FREE – University of Kansas Creole Center – They have wonderful downloads of starter vocabulary lists and more. They even offer audio recordings along with some resources. PAID $29 – Oxford Picture Dictionary Creole / English – This is a great tool to learn visually, the only drawback is not hearing the words pronounced. It’s a great companion while traveling Haiti too if you need to ask for something by pointing to the picture. PAID $120 – Pimsleur Audio Program – The all listening method to acquire the Creole language. Most of the dialogue from this system is now reflexive for me when speaking. That’s a great benefit, I only wish they had more than the first phase of 30 lessons. PAID $114 – Audible App Version of Pimsleur – The same resource above but on your smart phone or computer powered by Amazon’s audio books. This is where people feel intimidated, but you don’t need to be afraid. Haitian Creole has a beautifully consistent and obvious grammatical structure. Once you learn the basics you’ll have the building blocks to make your own phrases, questions, and carry on real conversations. The resources listed below contain lots of vocabulary lists too, which will reinforce and expand everything you learned in step #1. FREE – How To Creole – This is a website that offers 46 video based lessons, no login required. It’s an absolute treasure of Haitian Creole grammar. Plan to watch each short video several days in a row. Make note of new words and use what you learn the same day – even if your pet is the only one who will listen to you practice. PAID $25 – Learn Haitian Creole with Gloria – I took private lessons with Gloria before I moved to Haiti. She’s a wonderful teacher and now offers her entire program (workbook + videos) for an amazing price. 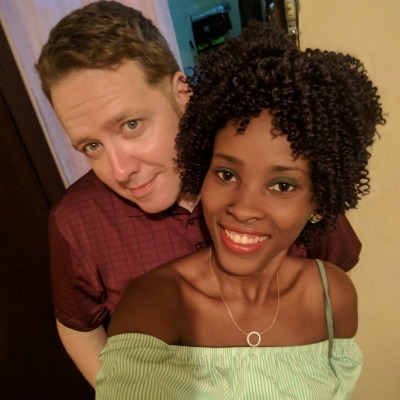 PAID $129 – Haiti Hub Beginners – This is where I started learning Creole and I can’t recommend it enough. The pacing and learning tools are excellent. They offer 16 complete grammar lessons plus 10 additional vocabulary / culture units. If you are serious about becoming fluent in Creole, that is a small investment. Have you ever noticed home many people studied another language in High School but forget it entirely in a matter of months? This is where actually using your Creole is essential. I know Americans who have worked in Haiti for many years and still can’t speak without a translator – why? It’s because they have never pushed past the embarrassment of doing something new. 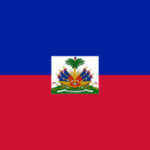 FREE – Haitian Friends – Make some and then let them message you on WhatsApp or Facebook. You’ll have no shortage of conversation but should be prepared to set boundaries (i.e. if someone asks for money or cell phone minutes). FREE – Conversation Audio from Sweet Coconuts – We recommend this entire site for vocabulary in step #1, but they have some exceptional two speaker audio conversations also. Each has a Creole and English transcript to follow along. I recommend listening to the same for several days and repeating it along with the recording. FREE – YouTube – You can find thousands of hours lessons, news, music videos, and short comedy films in the language of Haiti. While this isn’t perfect it’s still great practice if you not living among Haitians. I’ve found Joel Trimble helpful. You can listen and even repeat the words. Over time this builds new vocabulary and confidence for actual speaking situations. FREE – Follow along in the Creole Bible while listening to the audio recordings from Haitian Talking Bible. FREE – Read Wikipedia in Creole and use Google translate to clarify any new words. EXPENSIVE – Move to Haiti – This is the most intense option, but using the Creole language for daily survival makes learning a snap! If you’re not retired or wealthy, maybe just plan longer trips with a focus to speak as much Creole as possible. In other words, get with the people and away from the translators. The final step is where all the hard work begins to pay off. How to Learn Haitian Creole? It takes daily work, even if it’s just a few minutes. Today you may be ready to jump in with both feet, but many who start well don’t keep that momentum for long. The key is forming the small habits that keep you moving forward when you just don’t feel like doing the work. Here are a few simple tips we recommend to anyone trying to speak Creole. Cue – what will trigger your study time? Something specific that triggers your practice time. For me, keeping flashcards beside my coffee maker was a great 3 minute review session. I would see them pick them up automatically while waiting for the coffee. Duolingo does a great job with their app, but we’re still waiting for the Creole version. Pattern – this is the simple habit you are trying to build. Program in as little as 3 minutes per day and you will be amazed by the progress. Reward – The reward is what’s promised by the cue. In my example, the coffee was brewing right there so I was in a very happy place. When finished I felt like I had earned my cup of coffee. Everyone who loves Haiti will want to learn Creole. The richness of Haitian culture is closely connected to this beautiful way of speaking. That’s what you demonstrate when you make the effort to listen and speak. After my first visit, I couldn’t wait to talk with my new friends directly. After only a year of practice and study, I could handle most common conversations. I’m not gifted in language, but perseverance always pays off. That’s the real key – just keep at it everyday. How to speak Haitian Creole? If you’re ready to get started – watch this video from Haiti Hub with 20 useful words you can learn right away. Q: How long does it take to learn Creole? A: You can learn the basic grammar and most common vocabulary in just a few months. However, it takes much more practice to truly feel comfortable speaking Haitian Creole without a translator. Even after many years, native Haitians will still detect slight imperfections in your speech. Q: Is Haitian Creole an easy language to learn? A: The basic grammar, phonetic spellings, and comparatively small vocabulary make this language very accessible, especially if you have a background in modern French. However, it will require constant practice and experience in conversation to become truly fluent. One drawback is the lack of learning resources and in some areas it’s difficult to find native speakers for practice. Q: Can you speak French in Haiti? A: In some business and professional settings you can make due only with French. Those are very limited times and you will need Creole to make your way in ordinary life.